We’re continuing out In Depth series of all the Walt Disney World resorts! 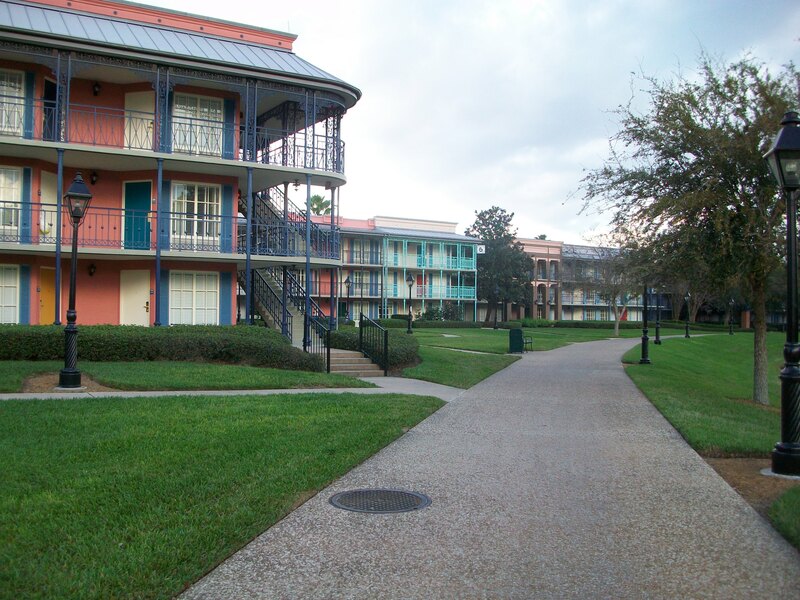 This week we’re talking about Port Orleans French Quarter, the smallest of all the WDW resorts. We talk about all aspects of the resort from dining, room types, activities and amenities, and cost. If you like this series we’ve also covered Animal Kingdom Lodge, Pop Century, Coronado Springs, and Contemporary. Check those out! This week concludes our Fall Disney vacation trip reports. Hear all about Jamie’s vacation with a baby as well as Minnie’s Holiday Dine at Hollywood & Vine. Tara tells us all about her luxurious stay at the BoardWalk Garden Cottages. You don’t want to miss this! Podcast Episode 43: How Far Does Your Money Go At Disney? Have you ever wondered what kind of Disney vacation you could have if you only had a certain amount to spend? Wonder no longer because we’ve laid out some helpful scenarios with common budget amounts for you! There’s lots of great information this week so if you think you can’t do Disney because of your budget, you’ll want to catch this week’s episode! Spoiler alert: Disney works with most budgets! You don’t need to tell me it’s expensive to go to Walt Disney World. Have you ever had a day where you did not buy park tickets, or have a trip without visiting one of the four theme parks? Perhaps prior to a cruise, you would like to spend a day or two in Disney World but not have to have the added expense of park tickets. Park at one of the resorts at the Magic Kingdom or take the bus to the Magic Kingdom and take a monorail ride stopping at each of the three resorts: Contemporary, Grand Floridian or Polynesian. You can enjoy the views, take pictures, or have lunch at one of the hotels. 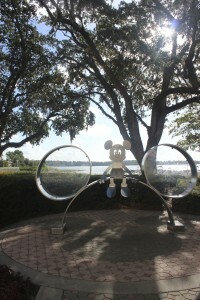 Stop at the Contemporary and take a boat to Wilderness Lodge there is a beach there with a nice playground. 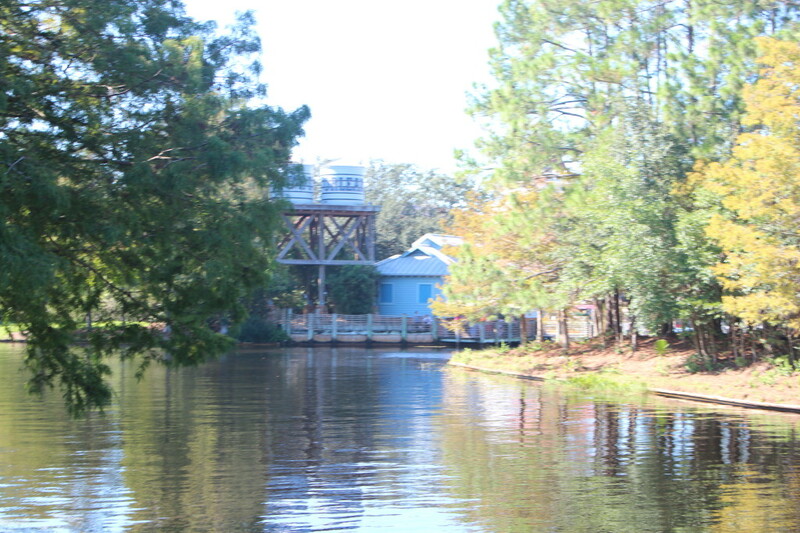 From Downtown Disney you can take a boat ride to the Port Orleans Resorts and back it’s a nice river ride. Each resort has a playground open for anyone to use. Campfire and Movie Under the Stars with Chip and Dale at Fort Wilderness usually around 8 PM, arrive around 7-7:30 (You can either bring your own S’mores ingredients or buy kits there, but the actual campfire and movie is free.) Check with your travel agent for the exact time for your trip. Port Orleans French Quarter is an adorable New Orleans-themed moderate resort at Walt Disney World. It is situated on the Sassagoula River with stunning views, perfectly manicured walking and running trails along the river and boat access to Downtown Disney. It is also centrally located between the Magic Kingdom and Epcot which means short travel times to both parks. As a moderate resort it features a large pool area with a water slide, hot tub/whirlpool, and even a splash pool for the little ones. The reason I chose this resort for my last vacation was its size. It is the smallest resort at 1,008 rooms so it is not a far walk to your room, the lobby, restaurant, pool, or bus stop no matter where you are located. This resort was refurbished not too long ago and the rooms were fresh and clean and large enough for my family of three adults and one child, all of our luggage (and shopping bags of course) with room to move around. The color scheme is gold and purple with dark wood with two queen beds (or one king). The rooms feature two sinks that are just out side of the rest of the bathroom which allows at least two people to get ready at the same time. There is also a curtain between the sink and the bed area that can be pulled to allow the rest of your group to sleep in a little longer. For food you can check out the Quick Service, Sassagoula Floatworks, which serves Louisiana/New Orleans/Cajun-inspired foods like jambalaya, barbecue, or Creole burgers. You can also get basic burgers, hot dogs, pizza, and pasta. The bakery inside the food court serves fresh baked goods and you can get delicious beignets, and Mickey Rice Krispie treats. Grab-and-go food like cereal, fruit, granola bars, chips, juice, milk and other snacks are available. There is also a pool-side bar, Mardi Grogs, with great drinks and even better service. The food here is simple but very delicious. And of course if you choose to get the refillable mugs or have the dining plan there is plenty of hot or cold drinks to choose from. If you don’t fancy a day at the parks there is plenty to do around the resort for kids and adults. At dusk there are movies shown, campfires, where for a small charge you can get the fixins’ for s’mores and huddle around a bonfire. You can of course hit up the pool and then the kids can join in the fun activities. 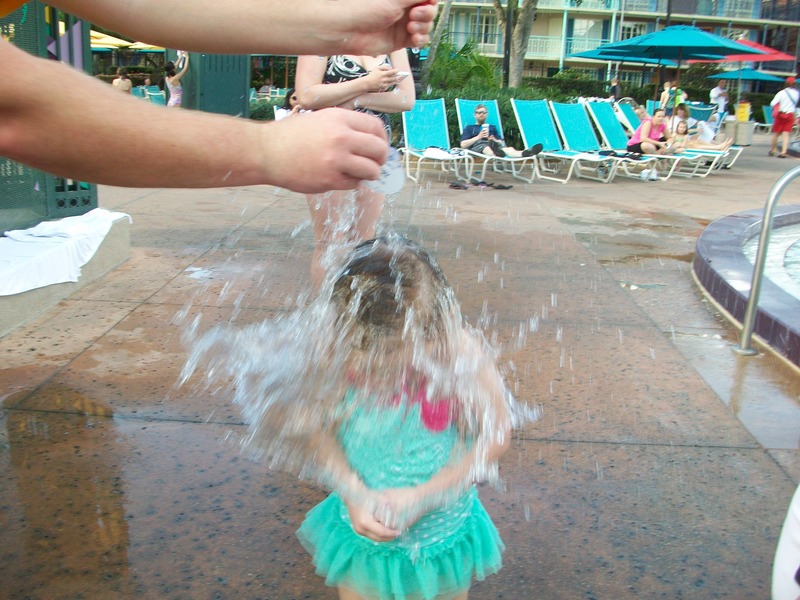 The cast members play fun games with the kids like hot potato, but with water balloons or guessing games. You can also let your kids play on the playground or there are bikes and fishing equipment for rent. There are horse-drawn carriage rides or pirate adventures for kids available at an additional cost. There is plenty to do just at this resort if you would like to have a slow day. You cannot go wrong if you choose to stay at this beautiful, exciting, and fun resort.